it is a whisper 40i internal filter. 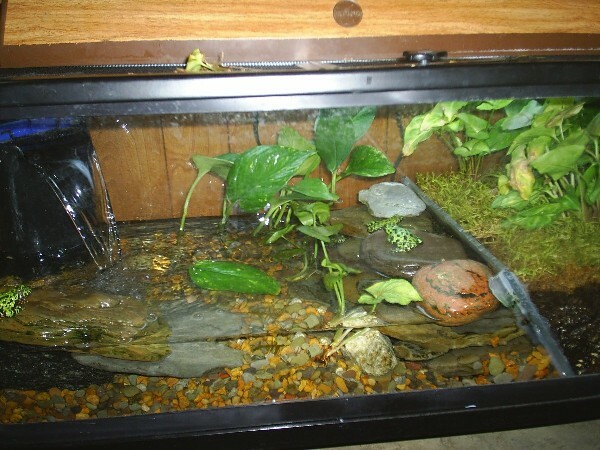 there are also smaller 20i and 10 i models, as well as a green tetra model with a lid designed for amphibian terrariums. the nice thing about the filters, is that the pumps are interchangeable, so you can use a larger volume pump on a smaller filter unit. the work very well and use a whisper bio bag with activated carbon for filtration and a small sponge pad for larger debris. really work well in tanks with 2" or more of water.